Toonia Colorbook turns your device into a beautiful coloring book for kids, helping them develop concentration skills, motor skills and eye-hand coordination as well as creative thinking, all without making a mess! It includes 128 beautifully designed coloring pages in 16 different themes. Each theme comes with a unique selection of beautiful colors and patterns for your children to discover and combine in any way they like. Toonia Colorbook also supports multi-touch so your kids can color together with friends or siblings and learn about the importance of cooperation and the joy of sharing. The more fingers the merrier! We are honoured to join the ranks of other great apps that have been awarded by your jury. It’s exciting for a small studio of five people from Slovenia to see that even though Tokyo is half a world away, we can share our ideas and passion in this new digital dimension. We will continue to make good children apps. Awards like yours tell us that we are on the right path. I believe the vital and interesting aspect of Digital Ehon is for children to play intuitively using a user-friendly function. 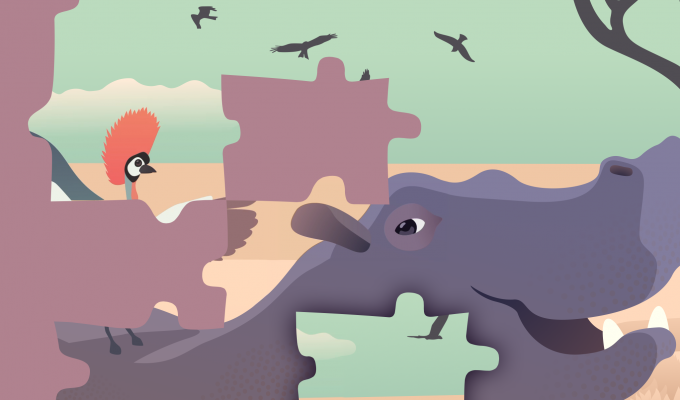 In this jigsaw puzzle, the illustration is 360°connected, and the reader can start at any point. 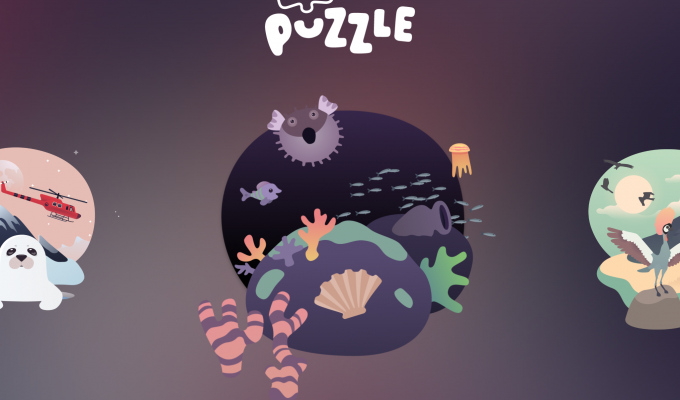 When you touch the completed puzzle, an animal starts moving emitting a sound. The app itself is very simple, but has interspersed with all the secrets that attract children. Perhaps, children will be more attracted to apps that do not cram grown up’s ideas, just like this app.